Please do not use this. On newer kernels it fries the phone’s PSU. Note: This is only applicable for the Snapdragon/Pro version of the Redmi Note 3. The Xiaomi Redmi Note 3 has a very good battery life. 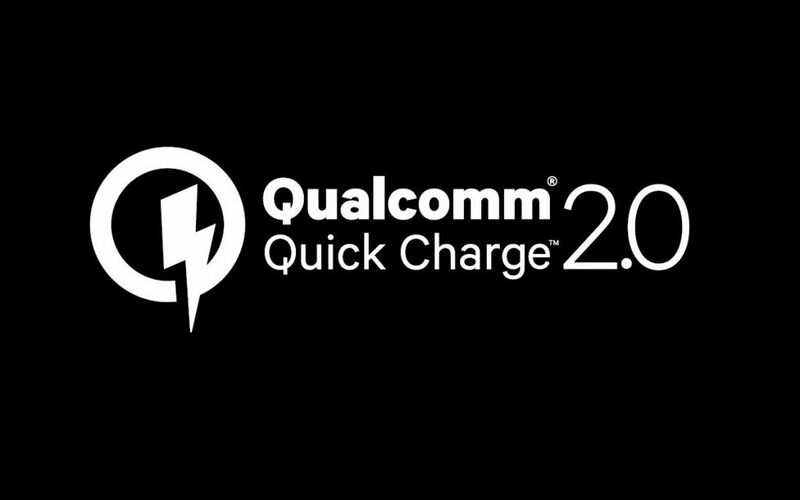 However Qualcomm Quick charge(QC) 2.0 would massively help with the charging times for the huge 4050 mAh battery. 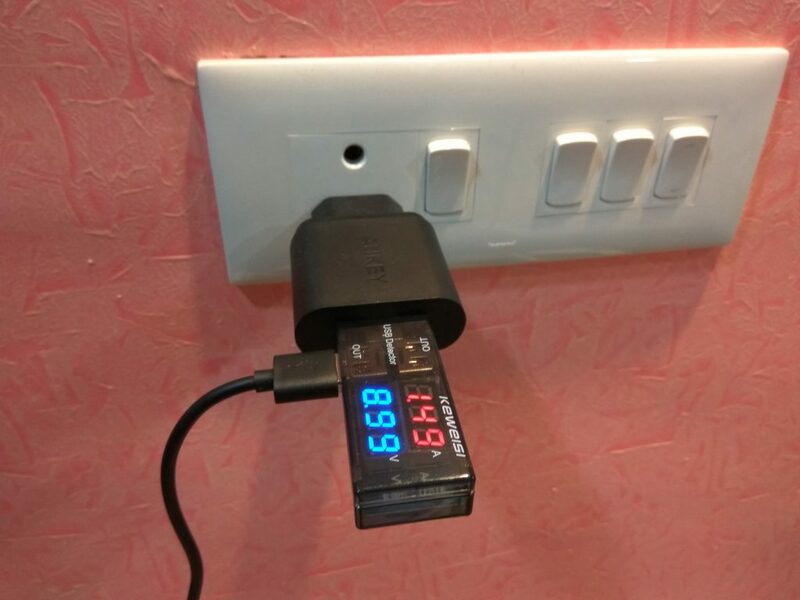 What this does is that it allows for charging over 9V/12V, instead of with just 5V and you can push upto 18W of power, as compared to just 10W the phone was originally designed to. The voltage is then converted internally to feed the battery. Xiaomi does not advertise QC 2.0 support for this phone since they probably haven’t paid Qualcomm’s 5$ per device licensing fee and also the extra cost for the charger could have been a factor. This all started with this document on Qualcomm’s website which confirmed that QC 2.0 was indeed supported on the device. The document has since been modified and the name removed. The next issue was adding the support in software. The hvdcp daemon is needed to configure the DCP circuitry of the phone to request the 9V needed for QC 2.0. Luckily Cyanogenmod comes with this enabled. Now all that’s left is getting yourself a QC 2.0 enabled charger and installing the ROM. There are several chargers available online. 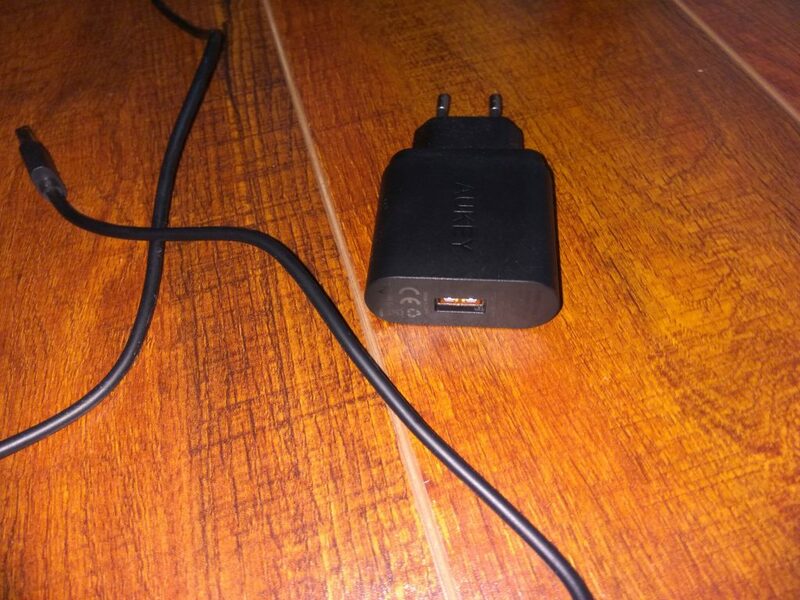 However I’ve had good luck with this charger from Aukey. I will not cover installing a custom ROM since there are plenty of resources for this. Throughout this article try not to confuse battery charging current and charging current(current flowing from the charger to the phone). I have not covered the stock MIUI ROM in this article because I do not use it personally. It does not support QC 2.0 in it’s stock configuration. So let’s compare the charge rates on Cyanogenmod between the stock and the QC 2.0 charger. You can download Ampere, which will tell you the battery charging rates. Make sure your charge percentage is <80%. Right now the charging speed went down to 1.1-1.3 amp while still at 9v, I guess because of an update. As you can see charging rates can vary but on the average it is 1.1-1.3A over 9V. That’s much less than what a QC 2.0 device is usually capable of. The reason for this is because the battery charging rate is now capped to 2A because the previous 3A cap would fry phones. I don’t know if this was due to QC 2.0 or people trying to push >2A over 5V. There are several kernels which support 3A charging. You can checkout Blaze kernel if you would have a look at this. Again vkass to the rescue. I think capping the battery charge rate to around 2.2-2.4A would be a nice balance. 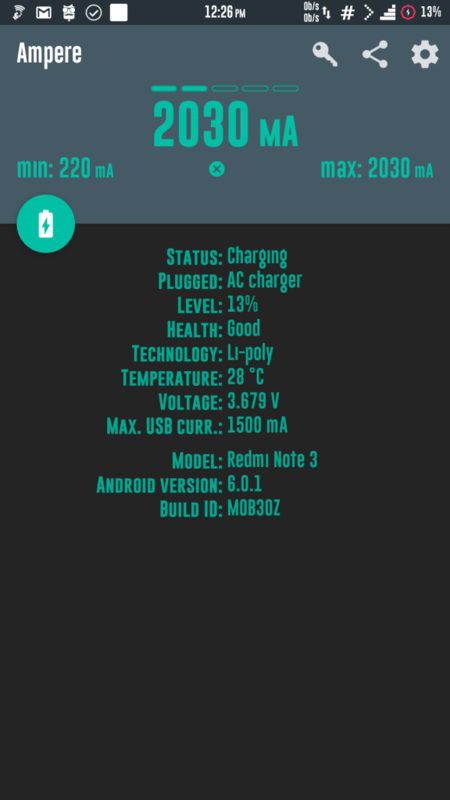 Getting a QC 2.0 charger and installing a Cyanogenmod based custom firmware is completely worth it. This setup should be 25-30% faster for charging and more efficient since it’s pushing less amps over a higher voltage. However the charging rates still can be improved and this is definitely something which needs work. 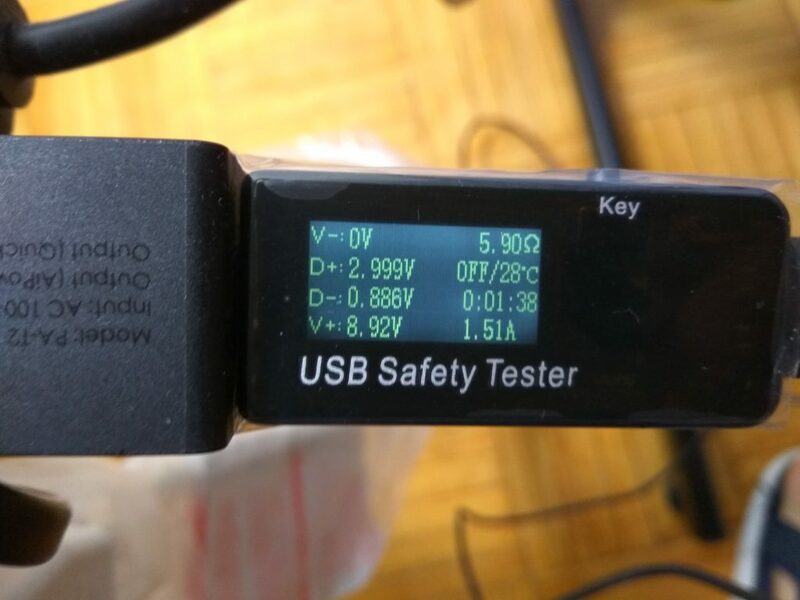 To test for myself I had ordered a USB multimeter from Aliexpress. It finally arrived. It costs just $2.3 with shipping and works very well. Super happy with it. This is the one I had ordered. Results are the same as before. It is showing slightly higher current in this pic because the camera app was on to click this pic. It hovers around the 1.1-1.25A region when the screen is off and all apps are removed from memory. I strongly urge that you pick one for yourself to confirm that everything works as normal. You can’t go wrong with $2.3. Check out this source to get the best camera to watch your pets when you are not there. Thank you! Very helpful post indeed! Didn’t know that Redmi Note 3 Supports Quick Charging. Cheers! The temps are pretty reasonable and not much hotter than normal charging on Cyanogenmod with QC 2.0 so I don’t think it is risky at all. I’ve been using my Aukey charger almost exclusively. You’re right in the sense that any changes in charge rate need to be thoroughly tested before being committed to the codebase since this is something which can potentially damage phones. I think on a 3A kernel the temps should be much higher and is not at all advisable. EDIT: I kept it for charging from 5% to 85%. The temperature reported in the Ampere app was 41c, which is very reasonable. You had charged from 5% to 85%. Please tell that you had charged on 9v 2a or 9v 3a and also tell the time taken by the redmi note 3 to charge from 5% to 85%. I am using the stock Cyanogenmod 2A kernel. 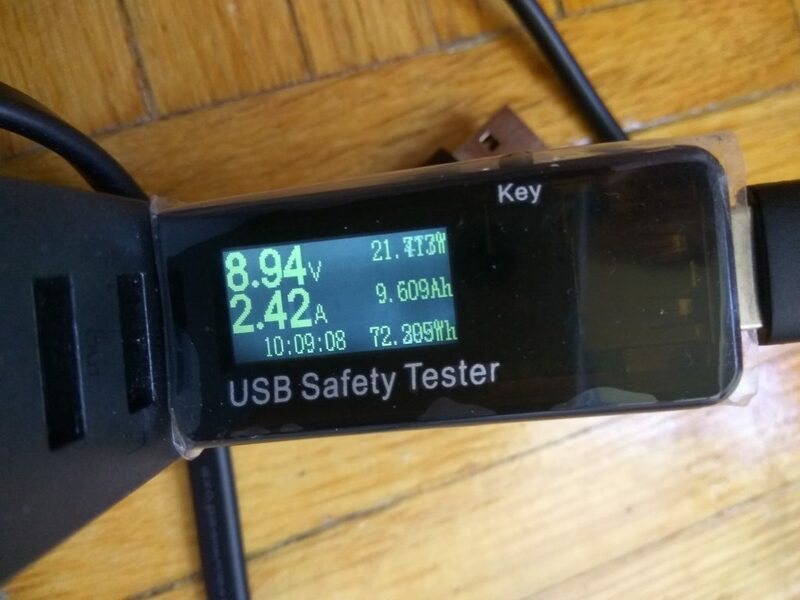 The actual current reported by the USB multimeter is 1-1.25A, like I said in the article. Charging is 25-30% faster. Interesting results, thanks for the research! okay I am still confused, so all the tweaks dev made to adjust current, voltage was possible due to presence of qc 2.0 (or 3.0)?